Love lemon desserts? 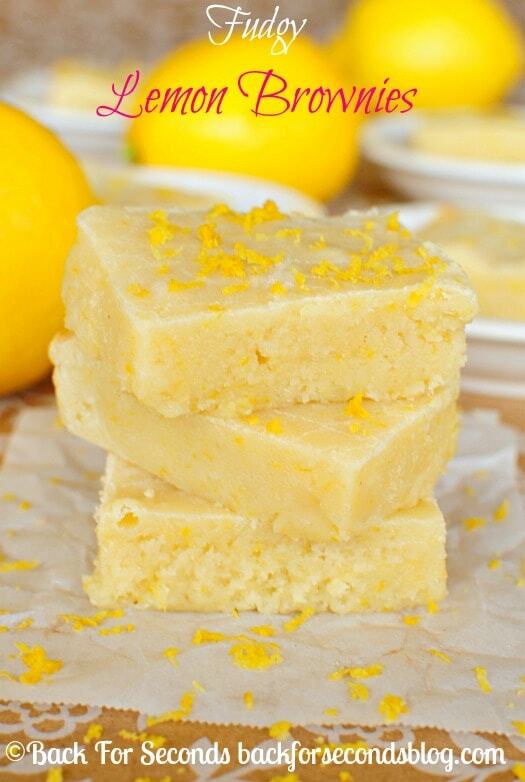 Try these Fudgy Lemon Brownies, they are heavenly! 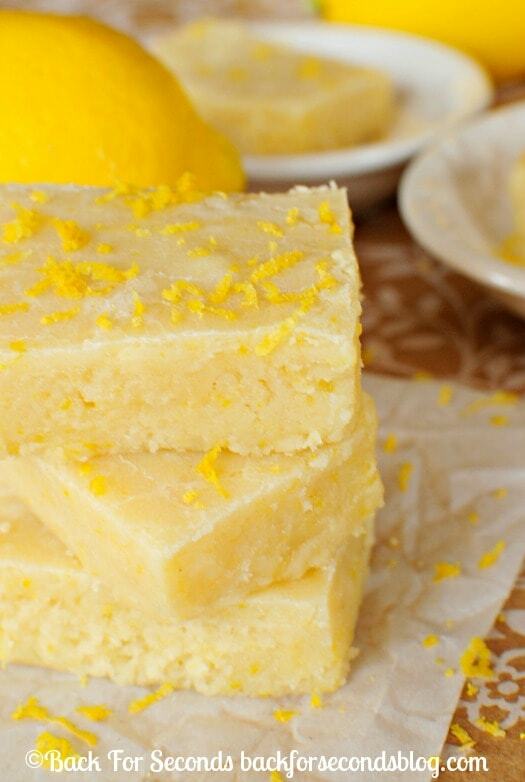 Lemon bars are a huge favorite in our house, especially with my husband and daughter. My favorite dessert is a fudgy brownie. So I got this great idea to merge all of our favorites into one amazing lemon brownie! Oh boy, these are good!!! 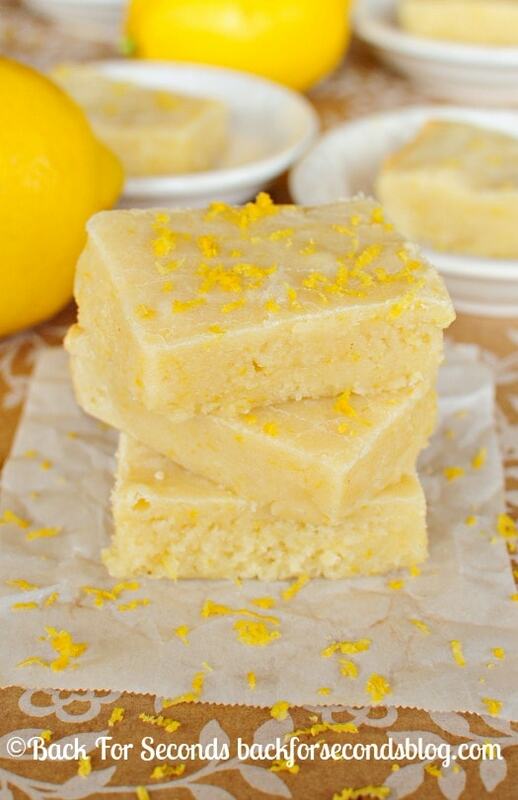 These have the texture of a fudgy brownie and the flavor of a lemon bar. They are kind of perfect. We especially loved them chilled! These will be great for a treat on the warm days ahead! I think these will be showing up a lot in my kitchen this spring and summer. Even though they are brownies, the citrus flavor makes them a nice refreshing dessert – especially if you refrigerate them! So, I want to know – What’s your favorite dessert? how much grams are 1 3/4 cup of flour? Brillant!!! 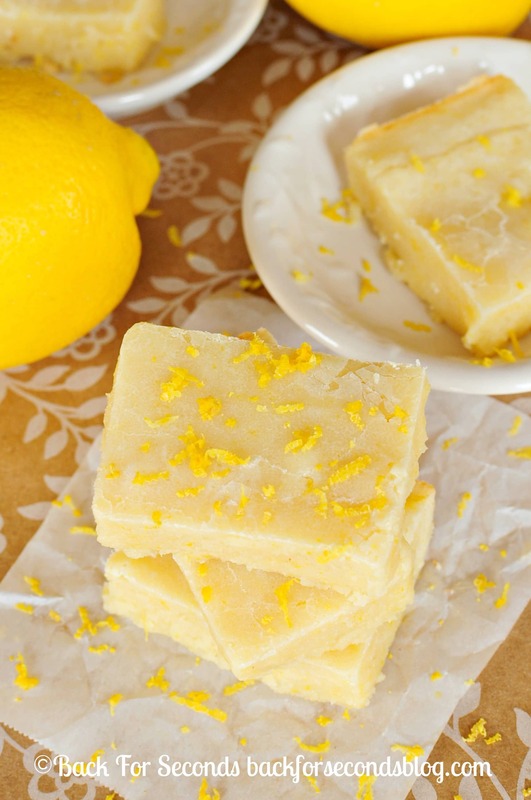 Love white chocolate and lemon, so I cannot wait to try these recipes. 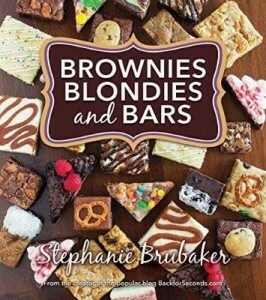 Thanks for sharing and bringing alternatives to the traditional brownies. Are these made in an 8×8 pan? I need to make a lot of these for a Spring picnic. Can I use a 9×13 pan? I’m ok with them being more on the cakey side. 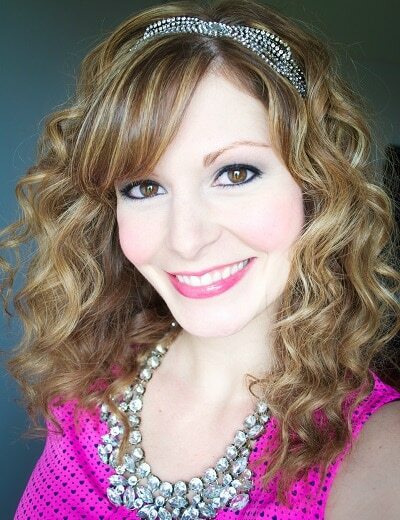 Hi Kay! Yes, this makes an 8×8″ pan. I would definitely make a double batch!